Got Slovak roots? Then you're in good company. Nearly 620,000 Slovaks immigrated to the United States during the period of mass migration (from about 1880 to 1914). Some Slovaks left their homeland for economic reasons, others to escape political repression. The majority of the immigrants to the United States arrived before World War I. Many returned home after earning enough money to buy land back home, but eventually some 500,000 Slovaks settled permanently in the New World. There are plenty of famous folk with ties to Slovakia including: Stefan Banic, Paul Newman, and Andy Warhol. If you're looking to find out more about your Slovak roots. Here are seven steps to get you started. Start with yourself and work back in time recording names and known dates on a pedigree or ancestor chart. Using genealogical software program such as Family Tree Maker, Legacy Family Tree, or RootsMagic, allows you to easily enter data and generate a variety of charts, including family group sheets, which help to organize families by marriage. Talk to your relatives to flesh out family stories, and obtain documents and photographs. Be aware that the way your surname is spelled today may not be the way it was spelled in the old country. Language barriers often hindered communication during immigration or other official processes. Search online records for alternate spellings for surnames and places to take account of name changes, recording or transcription errors. For example, my surname, Alzo, seems simple enough to spell, but I have seen it recorded as: Alles, Allesio, Alzio, Alzyso, Elza, Olza, and Ozla. This piece of information is often more important than knowing the immigrant's name. 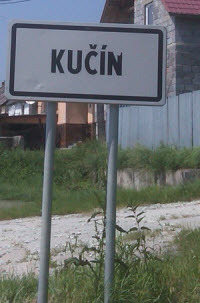 Most records in Slovakia were kept at the town level. Thus, just knowing your ancestor hailed from Kosice may not be sufficient. How do you determine the ancestral town or village? This information is often found in birth, marriage or death records, immigration, naturalization, or military documents. Census records typically list a person's place of birth as the country or state (if U.S. born). Church records may be more likely to list a specific locality and may even include notes by the priest or minister, who may have known the immigrant. Take account of border and town name changes when determining the appropriate jurisdiction for where records are kept today. Check maps and atlases, as well as gazetteers (geographical dictionaries, which can help you determine the location of the parish or synagogue where records were kept. Consult the Federation of East European Family History Societies Map Library for historic maps of Central and Eastern Europe, and the Family Search Wiki for Slovakia for additional resources. Once in America, Slovaks often settled among relatives and friends from the old country, so if you can't find your direct ancestor, look for his or her siblings, cousins, and neighbors. 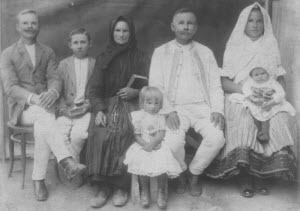 FamilySearch, a service provided by The Church of Jesus Christ of Latter-day Saints is one of the best sources for microfilmed records from Slovakia, including parish, military, and census records. You can view microfilm in person at the Family History Library (FHL) in Salt Lake City, Utah, or order the films for a small fee to view at one of its worldwide Family History Centers (FHC). When searching for available records, it greatly helps to know your ancestor's religion. Until the 1900s, individual church parishes, or Jewish congregations kept the vital records. In you're unsure of the denomination, try searching Roman Catholic records first since Catholicism was the dominant religion in the former Austro-Hungarian Empire. Church records for certain towns can be viewed online through FamilySearch Beta (Browse under "Slovakia"). However, these are images only; at present there is no searchable index. Note: You will not find all records in the FHL collection, but should keep checking back for updates. It often helps to connect with others who are searching the same surname, or village. You can find others through message boards, or social networking sites such as Facebook and Twitter, or by joining a genealogical society, such as the Czechoslovak Genealogical Society International. Whenever possible, you should try to establish contacts in village or town (by contacting the mayor or priest, either by e-mail or snail mail. Run a Google search to see if your ancestral area has a website where you can find contact information, photographs, historical information and more. There is a 100-year privacy law governing access to vital records. In addition, many records are still only accessible from the Slovak archives by either conducting research on-site or by written request. Write the letter in Slovak, whenever possible. For help, use the Family History Library's Czech and Slovak Letter-Writing Guide. Fees will be based on what type of records you seek, how many you're requesting, and other factors. Don't expect the records you find to be written in English. You may encounter a variety of languages or alphabets. Use the Family History Library Word Lists, online translation tools, or a translator. Do not expect the records from Slovakia to be written in English. You may encounter a variety of languages or alphabets, Use the Family History Library Word Lists, online translation tools such as Google Translate, BabelFish, or John Jaso's Church Record Translations, or work with a translator. In some cases, you may want to hire a professional researcher based in Slovakia who is fluent in Slovak and familiar with the archival system. Fees will vary. Check with the Czechoslovak Society International for research recommendations. It used to be that the realm of Slovak genealogy was something only entered into by those who could travel to the homeland, or afford to hire someone to research on their behalf. But thanks to greater access to records, the Internet, and a number of other factors, anyone can do it. You simply need to know where to look. With a solid research strategy, and some patience and persistence, you'll soon be on the fast track to discovering your Slovak ancestry.